Talk about fusion!! 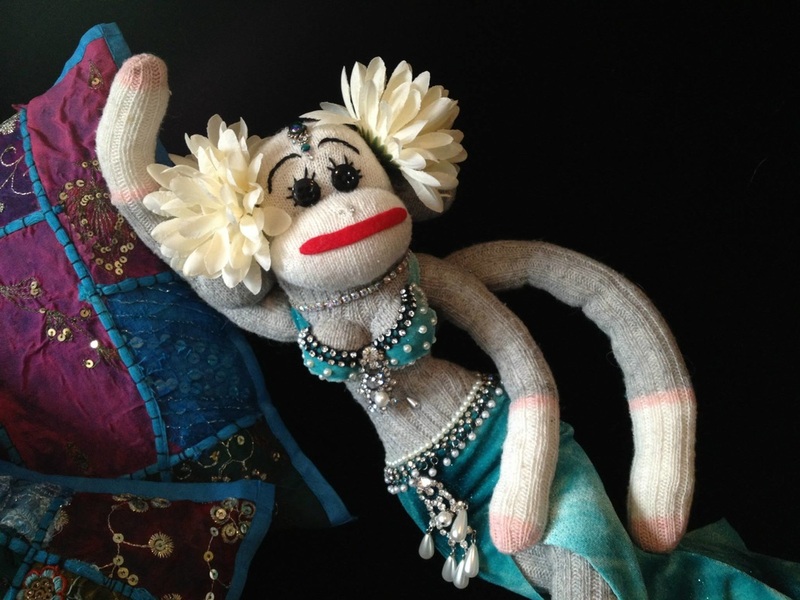 Sock monkeys meet bellydance! cabaret, tribal, fusion or... she's a sight to be seen! * want to commemorate a special show or your favourite dance costume? * wish you had a mini-homage of your dance idol? 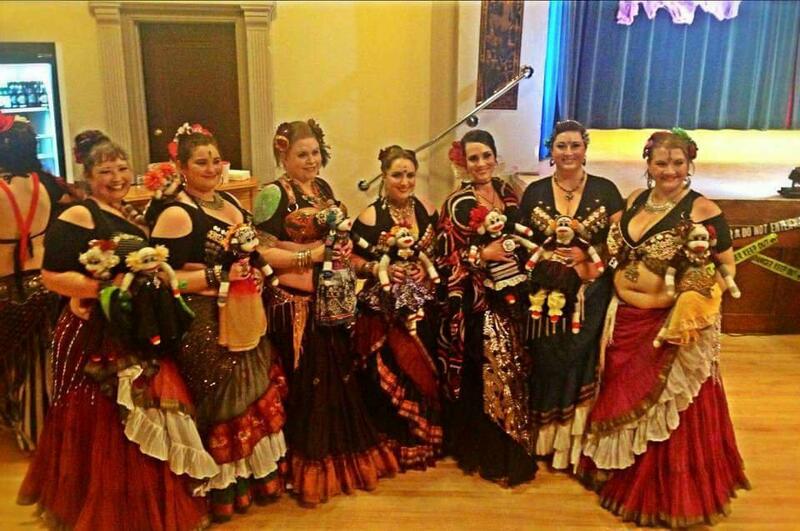 * a unique gift for your teacher/mentor/sisters in dance? * something to play with & decorate your own studio? The Mistress can make it happen! 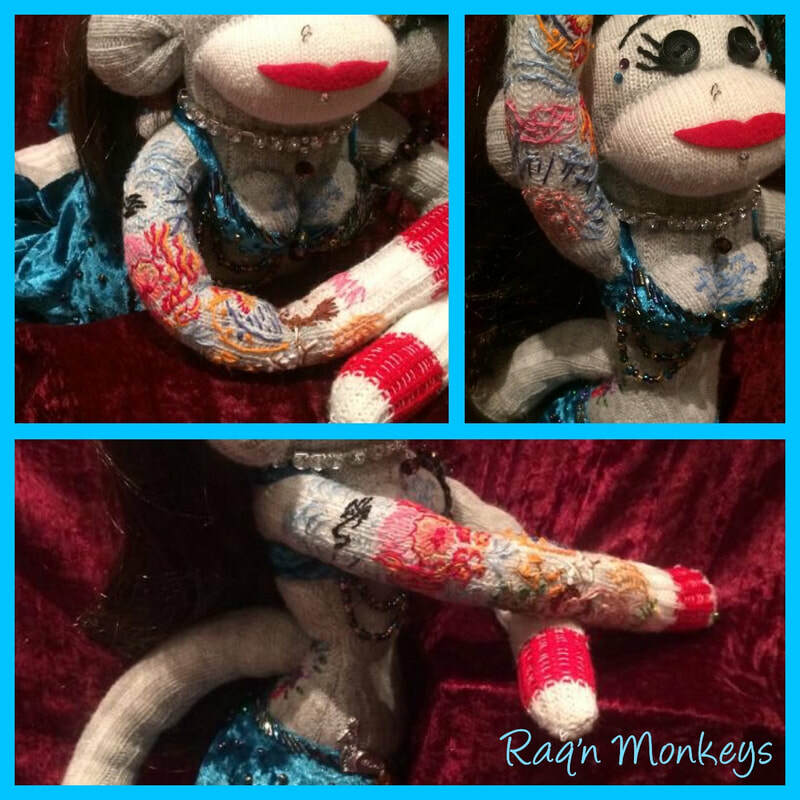 RAQ'n Monkeys is the unique fabric art form created just for YOU!!!! 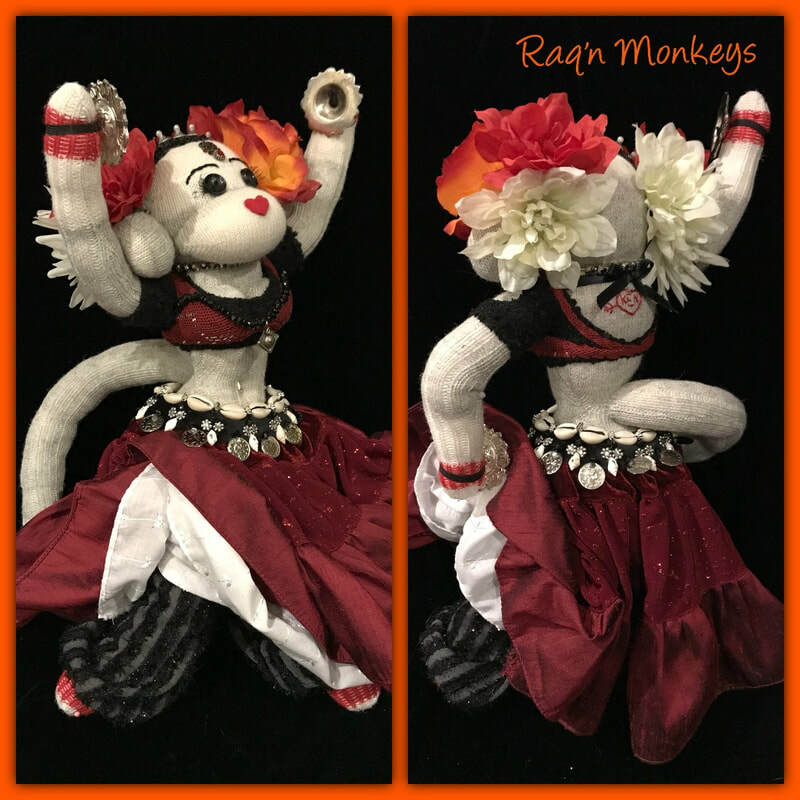 RAQ'n Monkeys is thrilled to be vending this coming year at the ATS® Reunion 2019!!! 2017: Thank you to everyone who joined us for the AZIZA gala show & workshops in February. We all had a wonderful time hosting, learning, laughing, and dancing together. Lots of monkey friends found their new homes that weekend and best of all - our raffle monkey raised over $400 for WIN House. Please note: Our wait list now FULL for the 2018 season of christmas gifting.